ThemeParkMama: Kauffman's Fruit Farm and Market Review and Giveaway! Kauffman's Fruit Farm and Market Review and Giveaway! When I traveled with my parents we would always stop at roadside stands or shops that had jellies and such. They would always pick something that you just couldn't find anywhere else. Kauffman's Fruit Farm and Market has a wide arrangement of goodies. 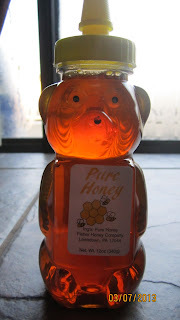 My first treat is Pure Honey. I use the honey when I eat corn cereal like Chex, it's so good and then the honey mixes so well with the milk that it just makes the whole experience yummy. What sets this honey aside from most honeys out there is the taste, its so rich in flavor. 100% all Pure Natural Honey. You can get a 12oz honey bear with other flavors here. The next fun treat was R.W. 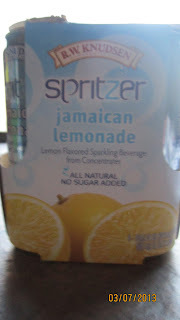 Knudsen's Spritzer jamaican lemonade. 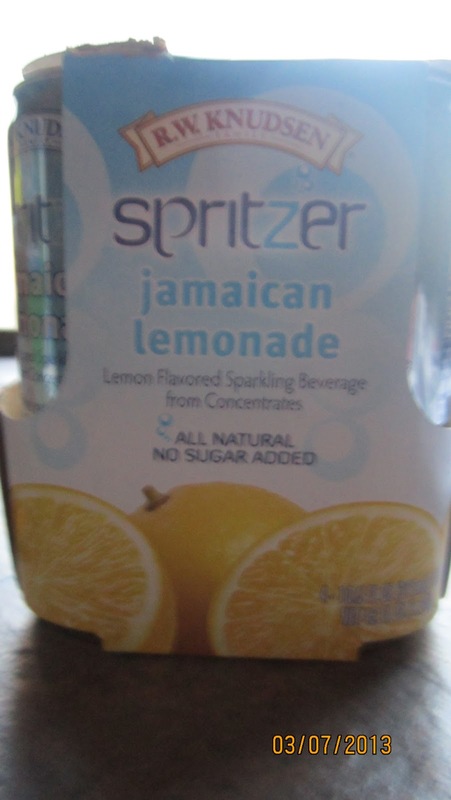 I love LOVE spritzers but its hard to find full flavor these are 61% juice and have no sugar! Kauffman's Fruit Farm and Market carries 4 flavors of Spritzers from R.W. Knudsen's. You get a nice 4 pack of 10.5oz which each can is only 150 calories. I love the taste I shared them with a coworker and we both agreed they are great, best yet don't leave a awful after taste. The jamaican lemonade Spritzer tastes best at close to frozen. 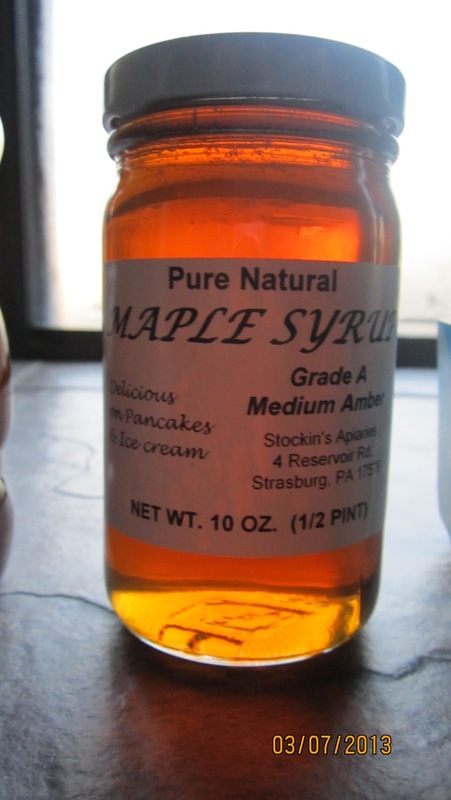 Finally the 3rd treat is....................Pure natural Maple Syrup. It was so good! When I opened the syrup for the first time I tasted it with my finger and then I ended up drinking it. Yes, it was that good! I like how it was not to thick or thin and it went great with pancakes. 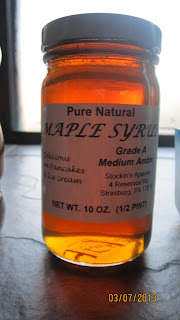 Unlike most syrups where when you get to the end you can't get that last drop, every last drop came out. I also liked the fact that I could reuse the jar the maple syrup came in. 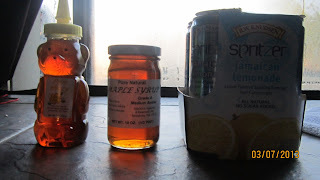 I am very pleased with the 3 products I was able to review and will be going back for more awesome goodies from Kauffman's Fruit Farm and Market. I'd love it for tea or some great pancakes! French toast or waffles! Thanks so much for the fantastic giveaway! I would love to try it on pancakes or waffles! Juppy Baby Walker Review and Giveaway! 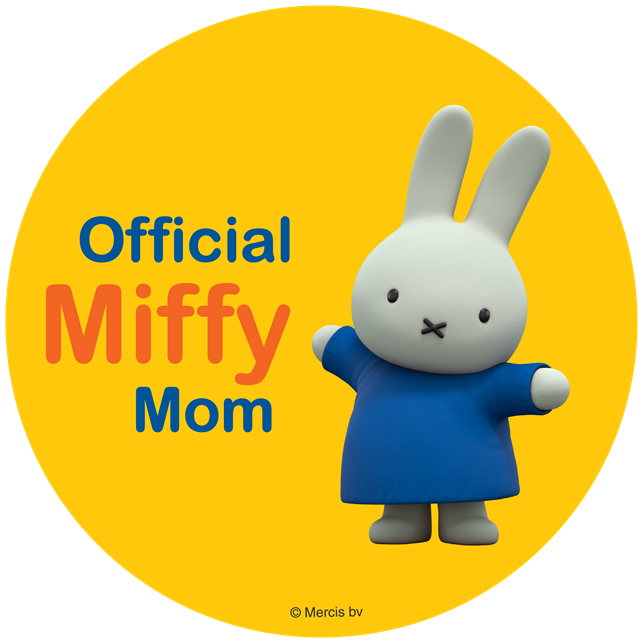 Color in Kids Shirts with Giveaway! AlternaVites Review, a Vitamin Kids Love! Racor Freestanding Bike Rack Review and Giveaway!